Living a simple, sustainable, modern life… with vintage flair! It’s tree time! Yay, yay, YAY!! Even though I am in retail management, Christmas is still my favorite time of year. I just love the way the decorations look, especially the lights. I love lights! And Christmas trees of all types! AND LIGHTS!! I like to think of myself as a non-traditional traditionalist. I know you’re thinking that I’ve completely lost it, and… well… I have, but that’s beside the point. Let me explain: I have very traditional values, like to do certain things “the old-fashioned way”, and try to live more simply, but, I love one-of-a-kind things, funky, bright colors, and creativity! Get it now? 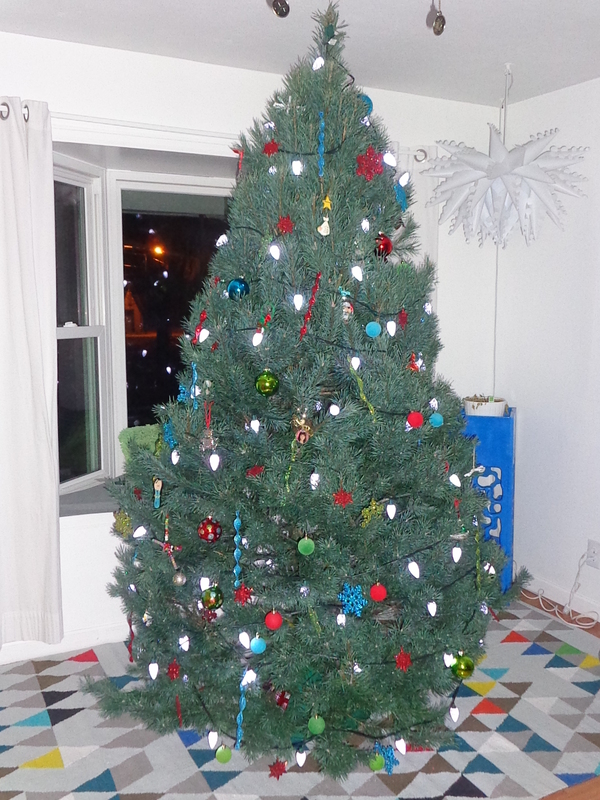 So anyway, the past few years I have become disenchanted with the whole normal tree thing. So about 4 years ago, I started my wall light tree. 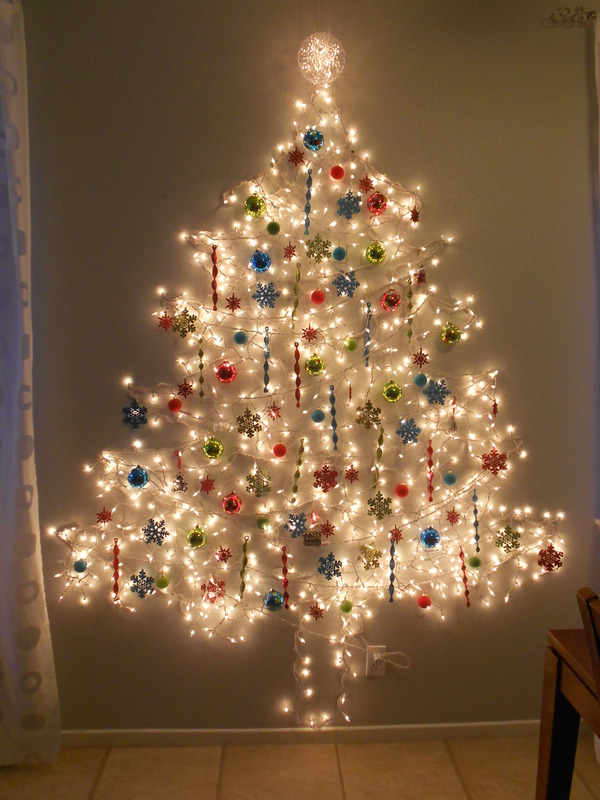 I would take removable adhesive hooks, nails, tape, whatever I had to, in order to attach lights to the wall, and then hang ornaments straight from the light wires! Fast froward to this year. 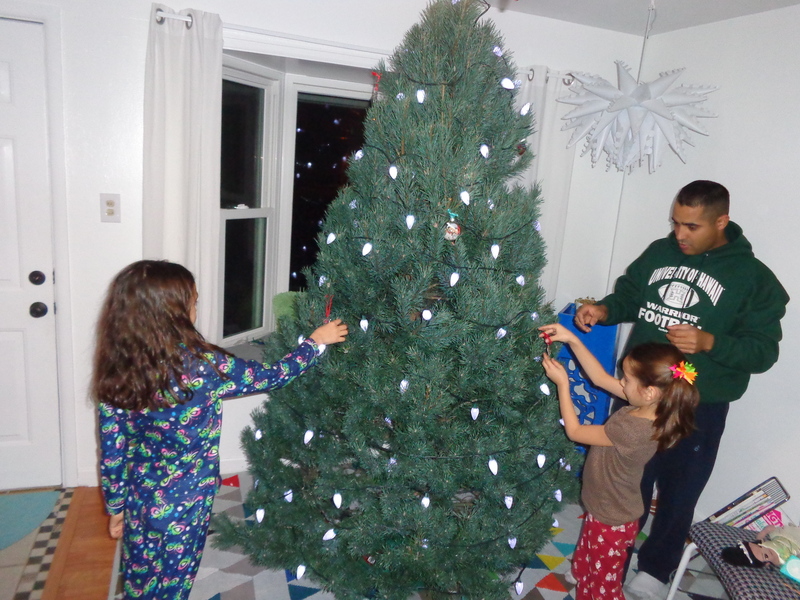 The hubby and kids all ganged up on me and rallied for a real tree. 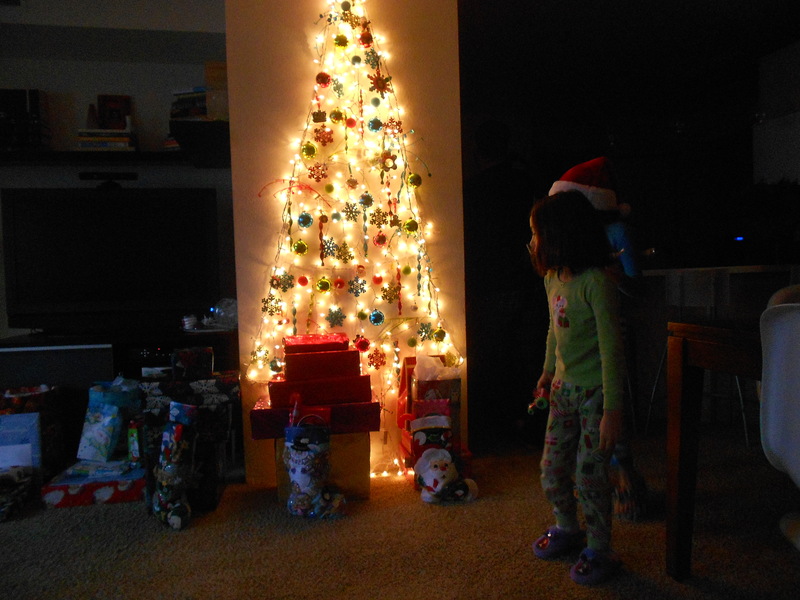 Before the “light trees”, we had faux trees, so the kids have never had a real tree. 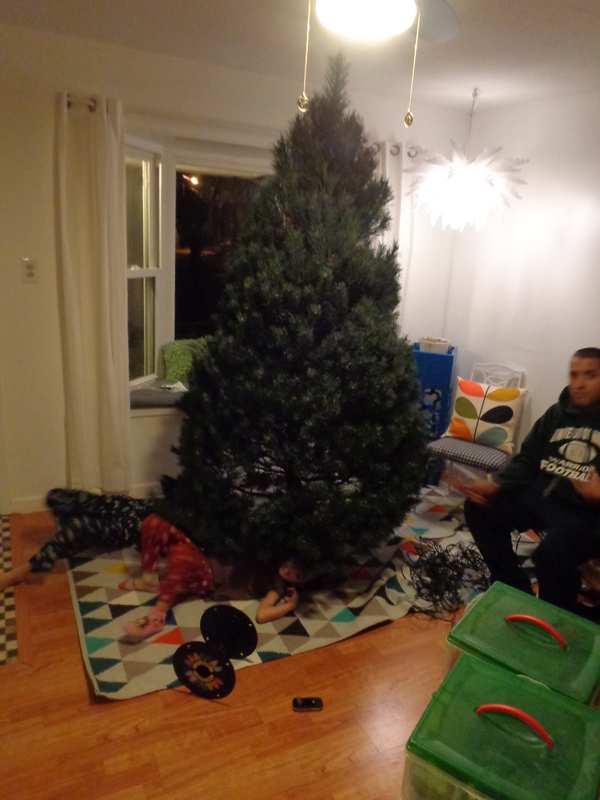 They won, of course, and we got a Scotch Pine. 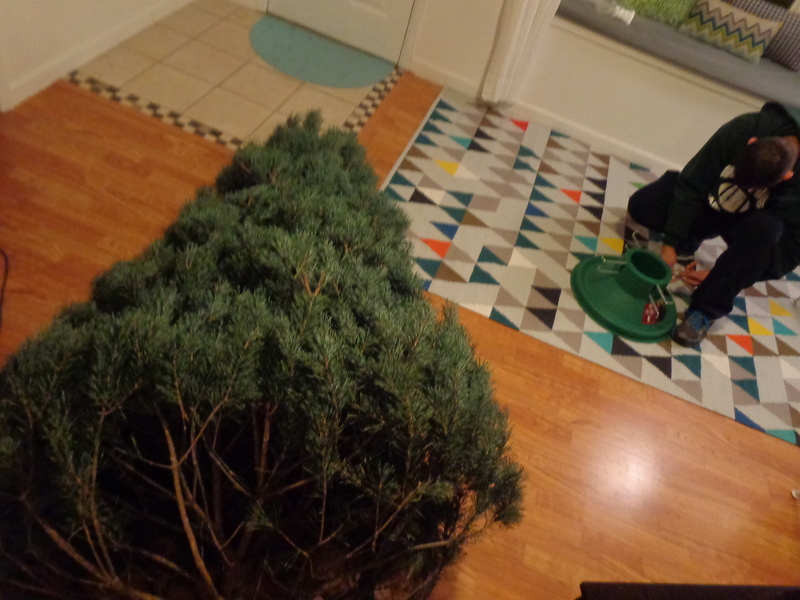 Luis and I had quite a time getting the tree into the stand. The tree was a bit prickly and large. And did I mention that it was large? 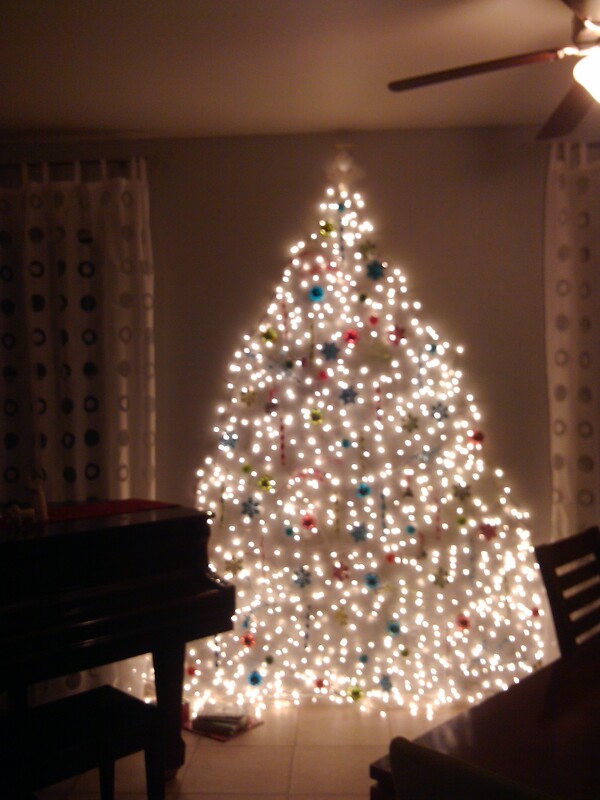 After years of light trees and years before that of faux trees, this 8 foot giant was huge to us! 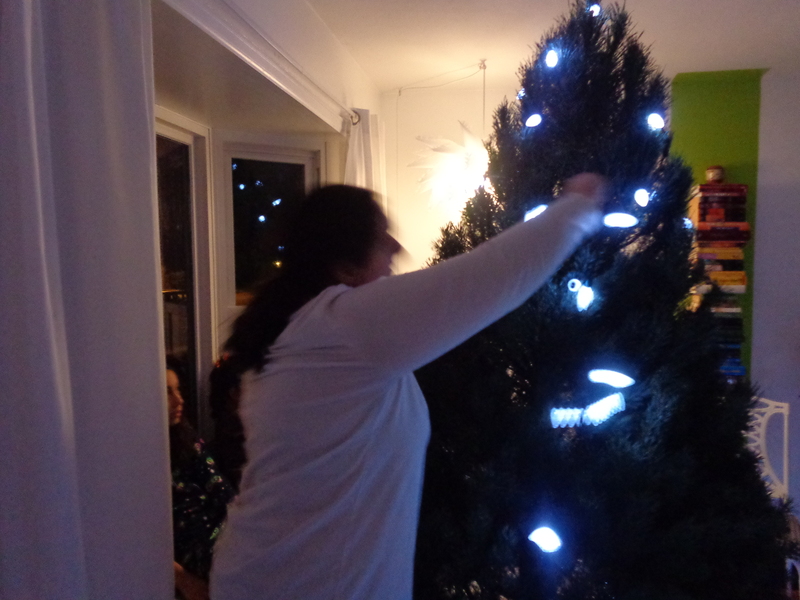 Eventually we prevailed over the tree and got it standing up. Then came the lights. I bought some larger, cut glass-looking lights. They kind of reminded me of the old-fashioned lights, and I really thought they would compliment our little 20’s Bungalow quite well. 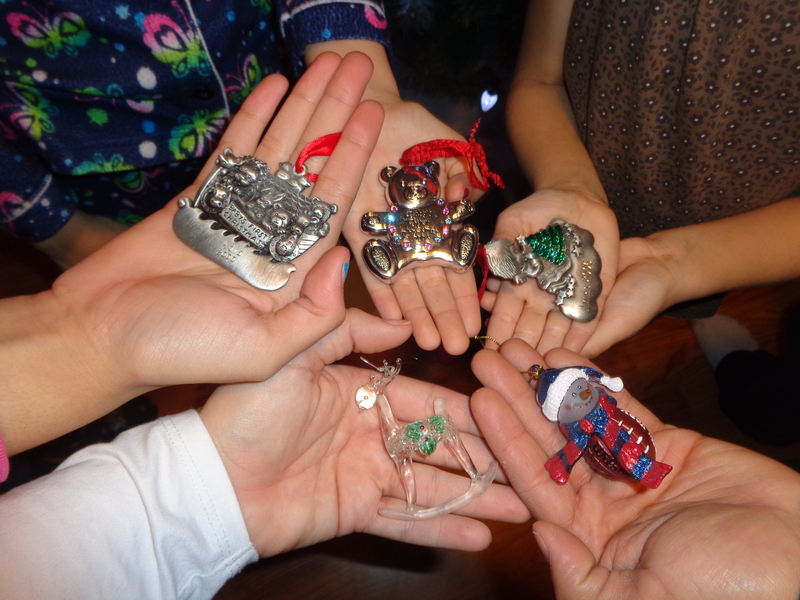 Then we throw the rest of the ornaments up there with complete abandon, and have a blast doing so! We are keeping the tree simple this year, no garland, tinsel, or anything flashy. Just plain and simple. I kind of like it. My only regret? There’s not more lights on that tree! LIVE SIMPLY AND CHANGE THE WORLD!! Don’t forget to enjoy Christmas!